Poetry for Students series - print copies are available in the reference room of the library. Type the name of your poem or poet in the library catalog search box to find out which volume you will need. 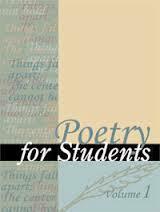 Poetry for Students is also available as an ebook. Click below to access. The password from home is royals. In Student Resources or Biography, type the name of your poet in the search box at the top of the page. In Student Resources, look for Critical Essays on the right hand side under "On This Page." Use the links below to access the databases. The password from home is royals. Use keywords only in your search (never whole questions). For example, you might type the name of your poem and the word criticism if you are looking for literary criticism. 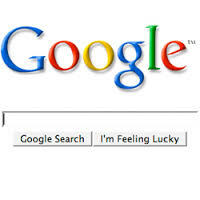 Try typing the name of your poem (or poet) followed by the words site:edu in the search box. This will give you results from academic institutions. If using Wikipedia, always refer to the list of original sources at the bottom of the page. Avoid citing wikipedia itself as a source.